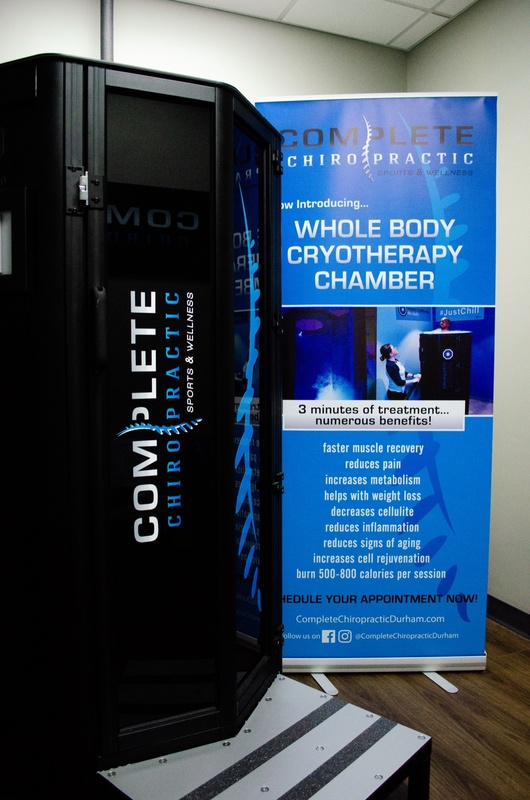 We are a local, family-owned Chiropractic office offering Whole Body Cryotherapy! Enjoy 25% off Cryo when you show your Shop Durham card! Whole Body Cryotherapy (WBC) is an innovative, holistic wellness solution that enables the human body to recover and rejuvenate itself naturally. The cold, dry air provides a much faster and convenient method of healing the body that is much more comfortable and effective as opposed to other cooling or recovery methods such as dry ice applications or ice baths. During cryotherapy, the body is exposed to extremely low temperatures (for 1-3 minutes) to trigger the body’s most powerful mechanisms of self-protection, self-recovery and self-rejuvenation. Receive 10% off nail care treatment.